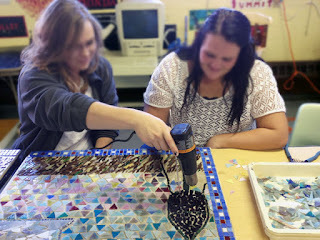 During the last week of September and the first week of October, 2012, I was able to work with High Plains Community Schools in Polk and Clarks, Nebraska through the Nebraska Arts Council Artists in Schools and Communities program. AiS/C makes grant money available as matching funds for school and community projects. If you're interested in learning more about the program, their website has lots of helpful info. 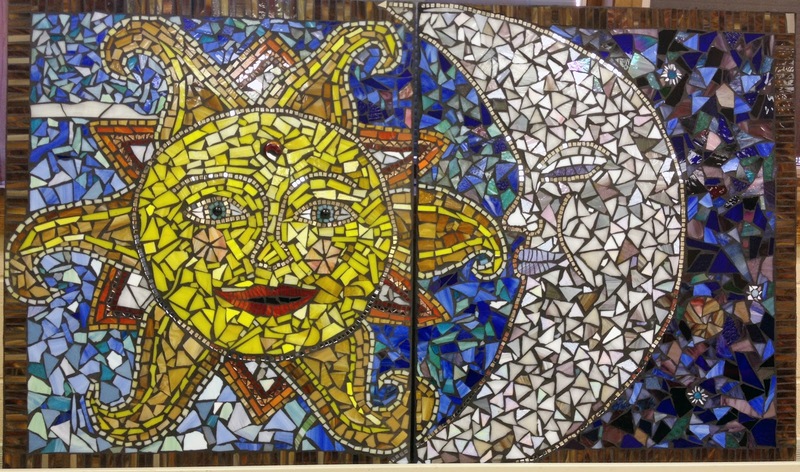 For the first week, I stayed with my gracious hosts Peggy and Maynard in Hordsville, Nebraska, a short 10 minute drive to the Polk High School, where I worked with grades 4 & 5 on fused glass sun catchers and grades 9-12 on the mosaic panel pictured above. During the second week, I worked with the 7th & 8th graders on the mosaic panel pictured below and created mosaic stepping stones with the kindergarten and first graders, and fused glass tiles with the 2nd and 3rd grades. 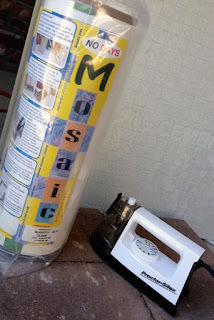 Before I left for rural Nebraska, I gathered all the materials and prepped my substrates with No Days Mosaic Adhesive, a heat set adhesive that allowed a lot more flexibility in placement of the glass tiles. 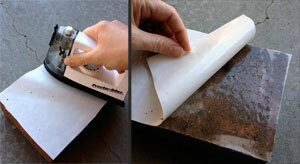 A large bulk roll of No Days Mosaic Adhesive covered all of the Hardibacker substrates and paver stones. I was able to cover my substrates with a layer of the adhesive by ironing the release paper (packaged with rolls of NDMA) and adhesive. I found this technique was the most successful where I ironed the adhesive so that it became fully transparent. We built the mosaic in sections and the design evolved as we worked on it. When we began, we knew that we wanted to create the school logo: a storm cloud with lightning striking. We discussed design concepts and decided to create a landscape oriented panel with the logo in the center. So, we started by filling in the lightning bolt. 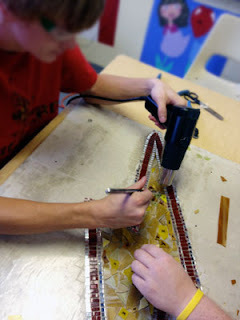 Once we were happy with the position of all the glass pieces, we set them in place using the heat gun. You can also check out my Facebook page for a closer look at the photos. Thanks to the Hamilton Community Foundation for matching funds for the NAC Grant!